INMOTION R1EX uses the latest innovations in sensor controlled vehicle technology, dynamically adjusting its motor 20,000 times per second for precise wheel control and stability assurance. It can be driven by simply moving your body forward and backward. It is very fun to ride. With the handle, it is much safer and you can easily maneuver to any direction you wish to go by moving the handle left or right to go left or right. INMOTION R1EX can be easily dismantled by removing the handle and it fit nicely in your car boot. INMOTION R1EX has voice prompts and you will never get bored. You can choose your preferred language. When you first on the INMOTION R1EX, you will hear greeting message "Welcome! Enjoy yourself!". When you want to power off, you will hear "See you soon!" If you ride it too fast, it will warn you "Please slow down". You can also connect it to your smart phone using the inmotion app and you can monitor the battery level, the max speed and distance that you had travelled and many more. 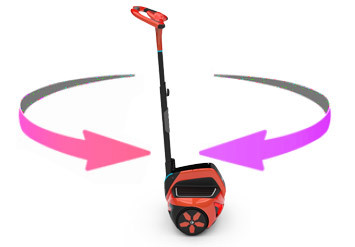 The INMOTION R1EX is powered using Lithium-Ion 72V 4Ah battery. 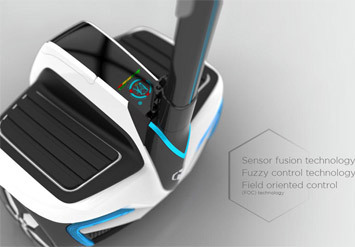 It takes about 3.5 hours to fully charged and last about 16 to 30 kilometers. INMOTION R1EX will accompany you to work and wherever you want to go. It helps you move faster to reach your destination without having to walk long distances. Thus it saves your time and energy. INMOTION R1EX is suitable to use at shopping centres, housing area, gardens, big compounds area, factories, warehouses. It is also good for security people to use it for patrol. Feel free to visit our showroom to have a test drive. INMOTION SCV uses sensor technology to instantly respond to your body movements, ensuring you always remain balanced. Most people learn how to ride it in less than ten minutes. It becomes as simple as moving your body in the direction you wish to move. It works like the human body—when walking, if you lean forward, you will naturally take a step forward to keep your balance. If you lean back, you naturally step back. 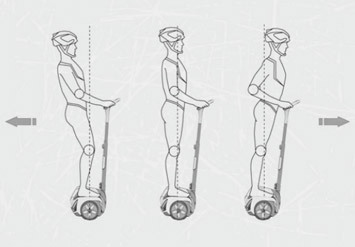 On an INMOTION SCV when you lean forward or back the machine powers the wheels in the direction that you lean, ensuring that you stay upright. It saves your time, energy and reaches your destination faster. You can make part or complete rotation, easily move to any direction while riding and can even move in a very tight space. When turning left or right, the left or right signal at the front and back will automatically blink. Copyright © , Aetis Sdn Bhd. All rights reserved.